Add fashion to your bedroom with this luxury oversize Tamiya Microfiber Coverlet set. Printed Microfiber cover that is wrinkle free and soft to the touch filled with 50% cotton / 50% polyester. 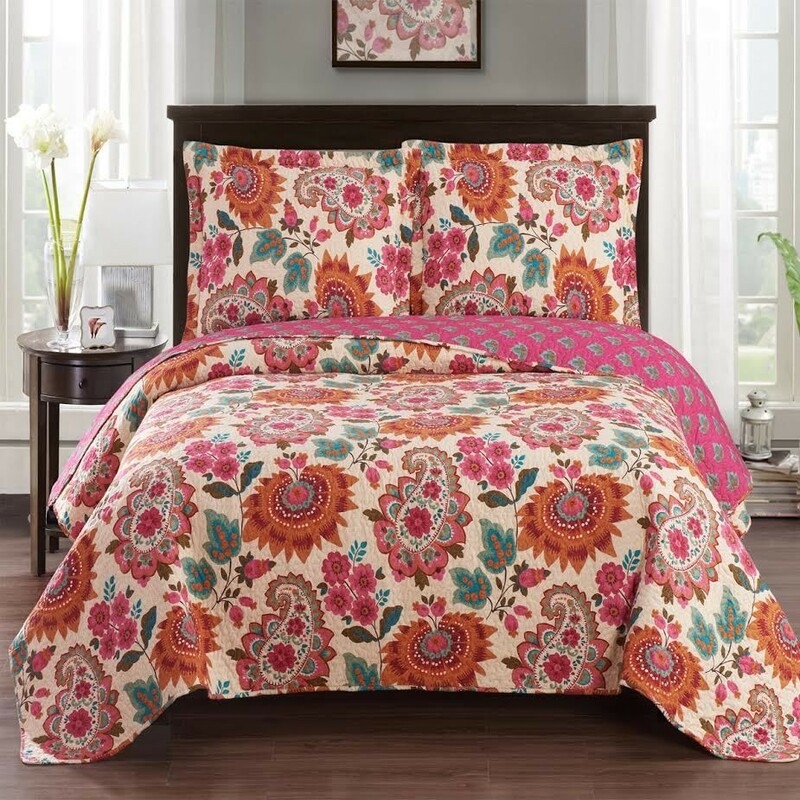 Add fashion to your bedroom with thisTamiya luxury oversize Microfiber Coverlet set. Printed Microfiber cover that is wrinkle free and soft to the touch filled with 50% cotton / 50% polyester.